On any typical weekend in San Francisco, you can find the road to 101 North jammed with cars filled with people in search of sun over the Golden Gate Bridge. On one such recent weekend, my family packed our car early Saturday and headed out to Point Reyes, a protected national seashore on the west coast of Marin County. A favorite sunny destination for my family, I have fond memories of day trips out to Point Reyes since my early childhood. 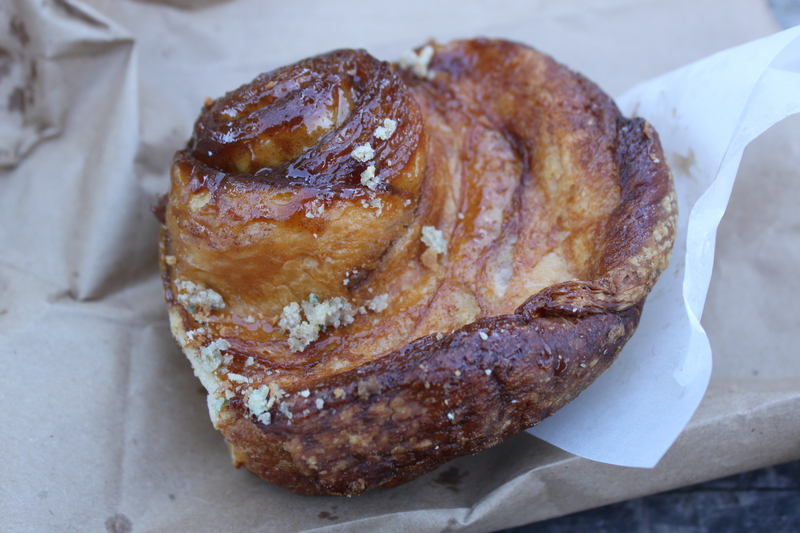 We started at Bovine Bakery (11315 California 1, Point Reyes Station, CA) where you can find a line of people waiting out the door in the morning for traditional, tasty pastries. 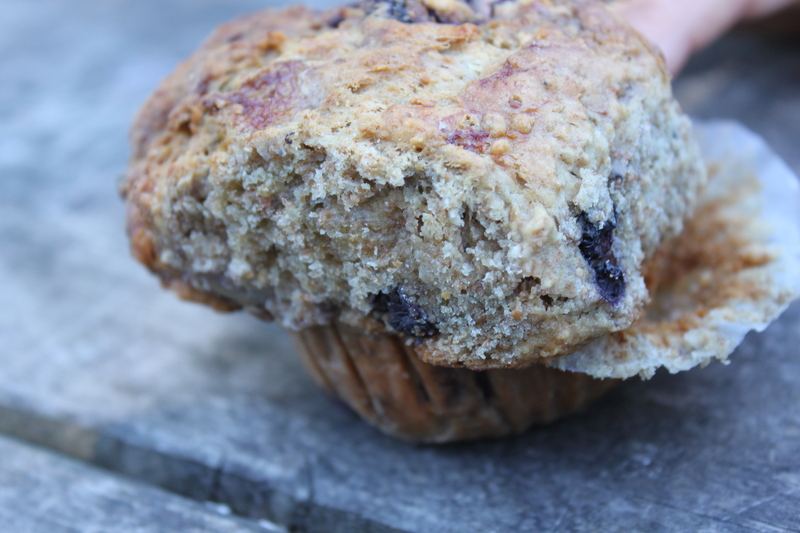 They are not out of this world, but certainly make a delicious breakfast. 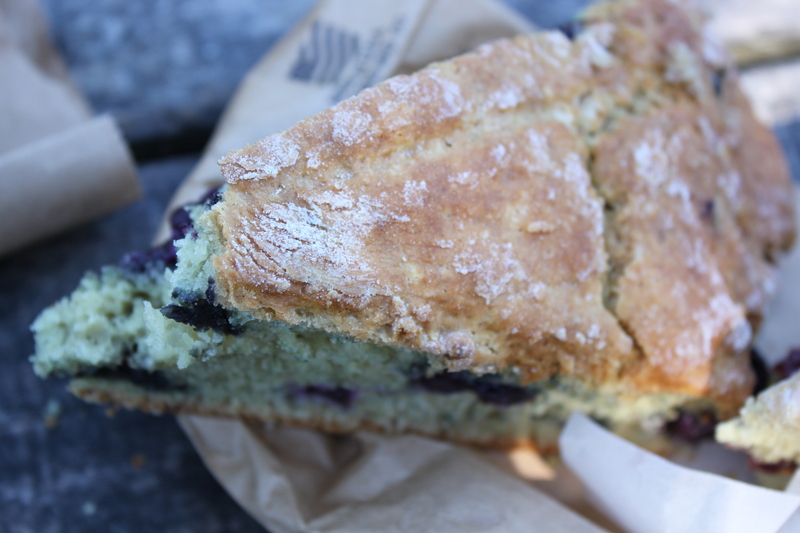 The blueberry buttermilk scone. 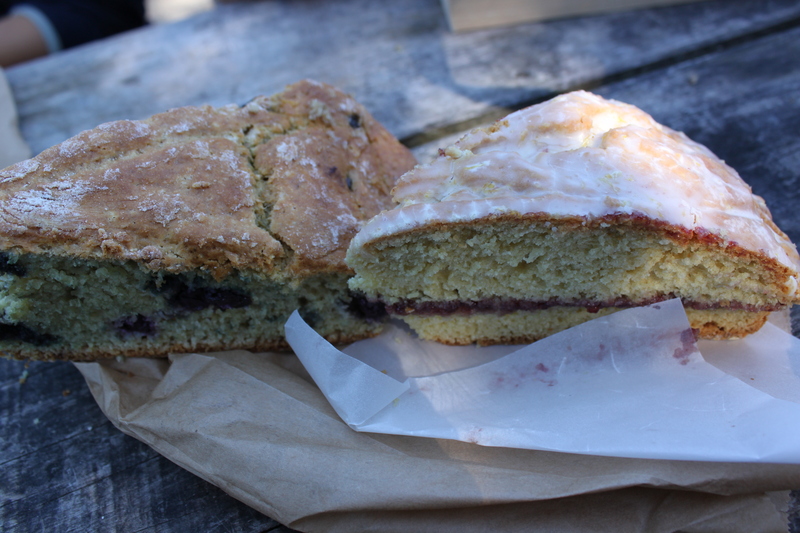 They make their scones on large sheets and cut them into huge triangles. The scones are more moist and much tastier this way. 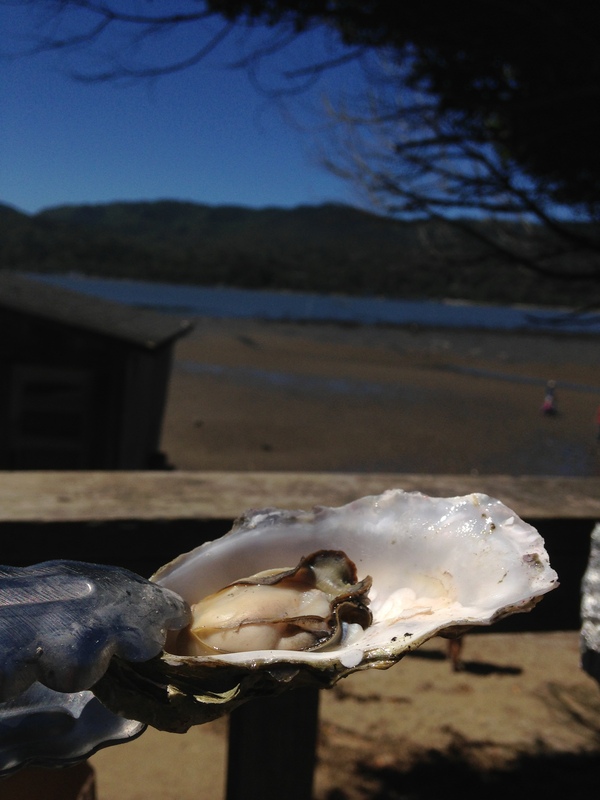 Then we headed over to Tomales Bay Oyster Company (15479 Highway One, Marshall, CA 94940). You can reserve picnic tables there in advance. In our case, we simply arrived early (they recommend before 11 AM) and claimed an open picnic table. We hung out for awhile (No, we did not eat raw oysters before 11), before buying our oysters to have for lunch. 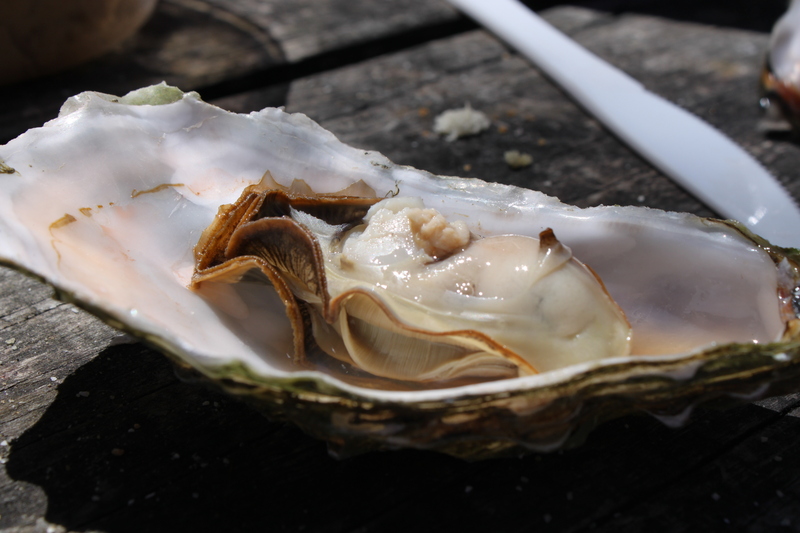 We had bread, butter, homemade mignonette, and garlic butter to accompany our oysters eaten by the seaside. 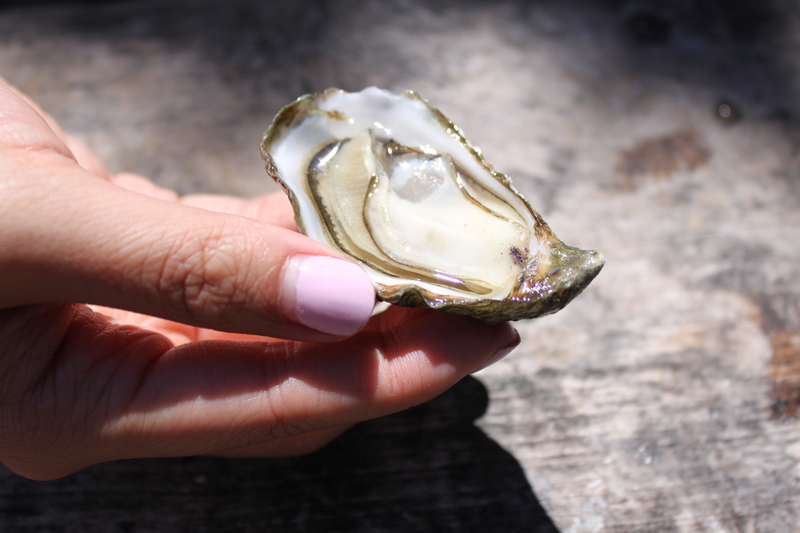 One cooked oyster, grilled on the grill provided with our picnic table. 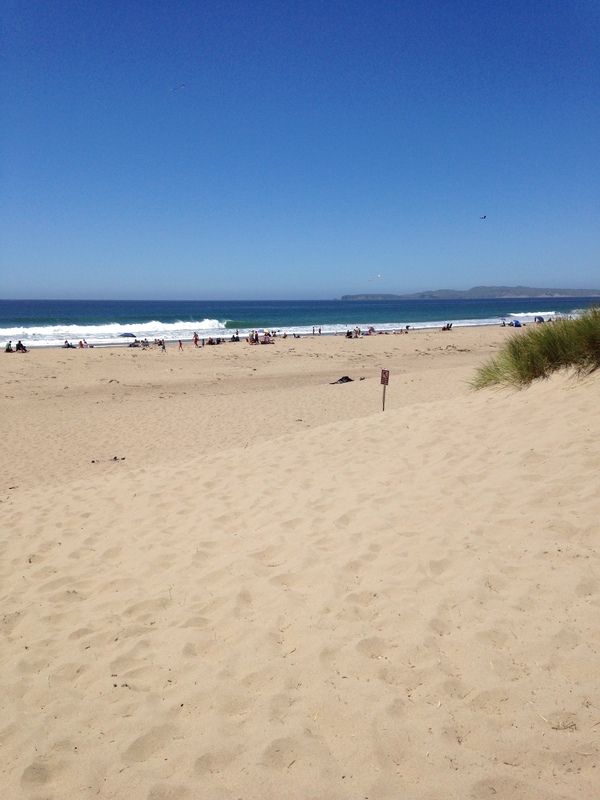 Limantour Beach. This beach is very nice and is never very crowded, but on this particular day was very windy. We did not stay very long. 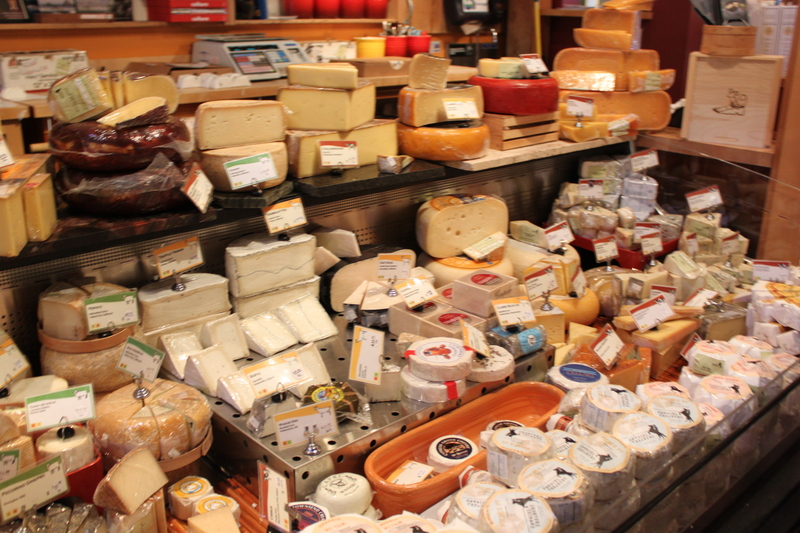 And of course, we had to stop by Cowgirl Creamery at Tomales Bay Foods (80 4th Street, Point Reyes Station, CA 94956), my favorite local cheese manufacturer. My personal favorites are their Mt. 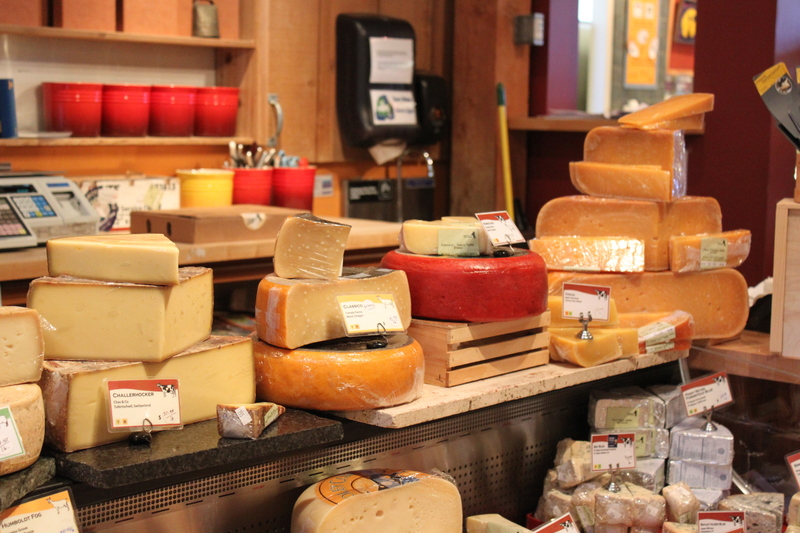 Tam and Red Hawk cheeses. 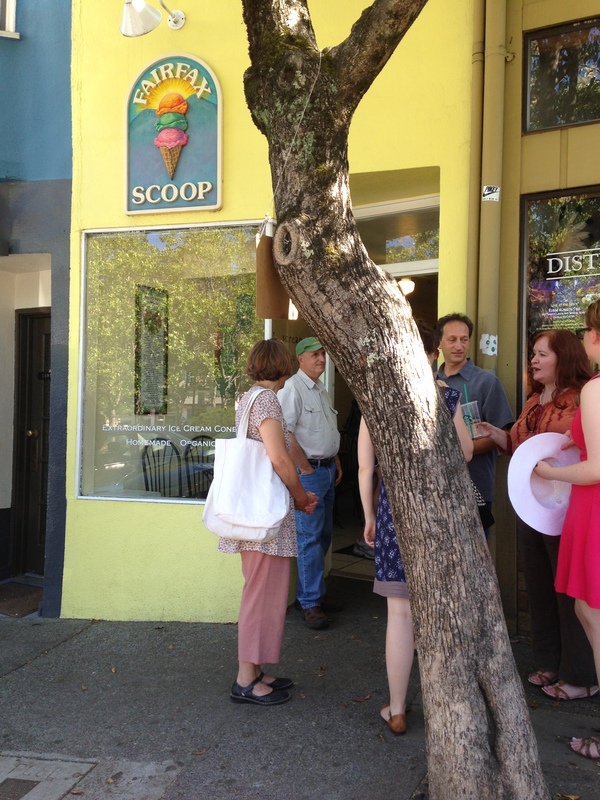 On our way home we stopped at Fairfax Scoop (63 Broadway Blvd Fairfax, CA 94930) for some ice cream. 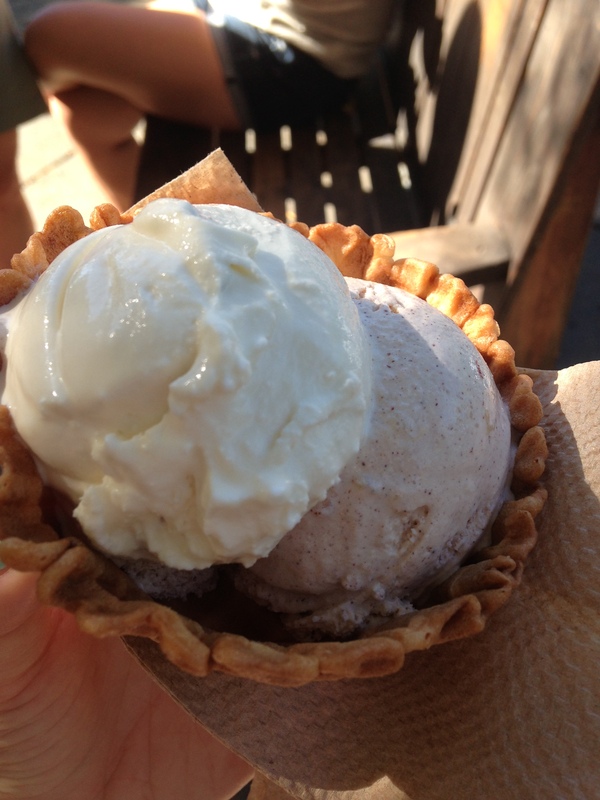 Fairfax Scoop makes their own organic ice cream (it is quite creamy and definitely on the softer side) in interesting flavors that all stem from very local products. 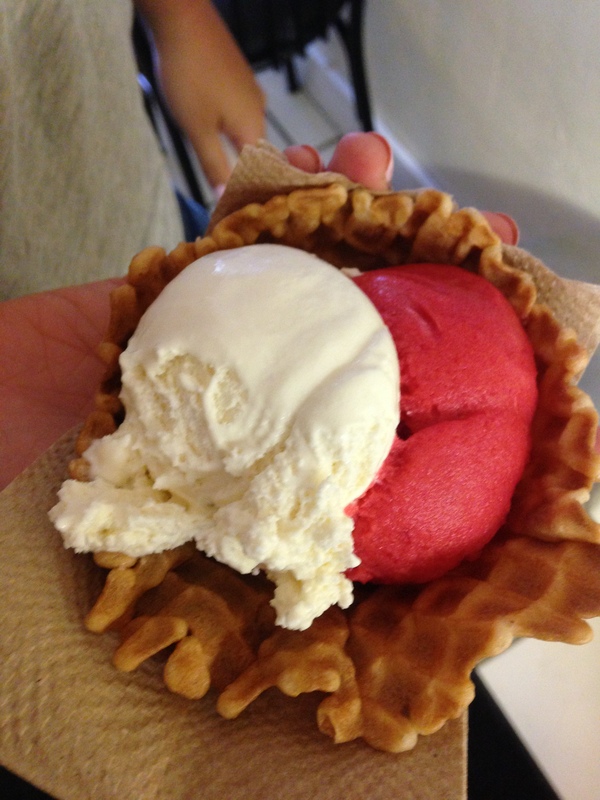 My favorite part though was their waffle cups and cones, which they make fresh in the shop. A note: I did get extremely sick with food poisoning for the night and day after this outing. Most likely, it was from a bad oyster. No one else in my family was disturbed. If you are worried/concerned, however, there is approximately a 1 out of 4 chance of sickness.